CP (T) symmetric universes of Neil Turok. 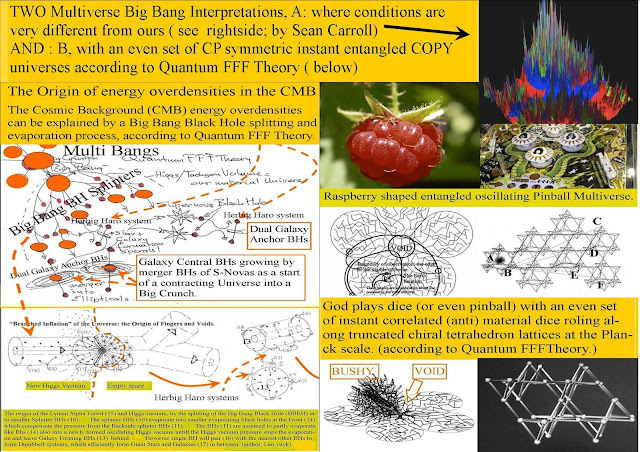 For a summary here, and a longer paper here. 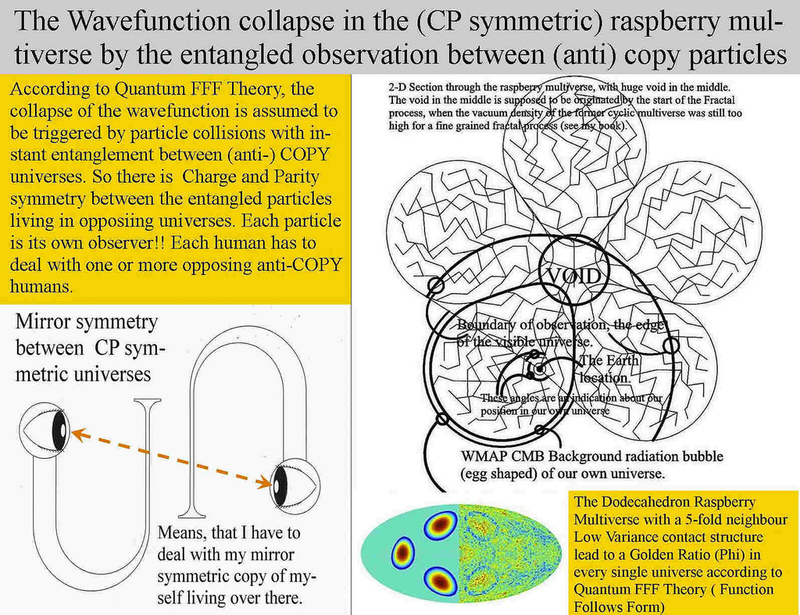 In my Quantum FFF Model however, the T = Time component is not symmetric because clock are running over there ( in the anti material copy universe) with a left handed rotation opposite to our clocks with right handed rotation. 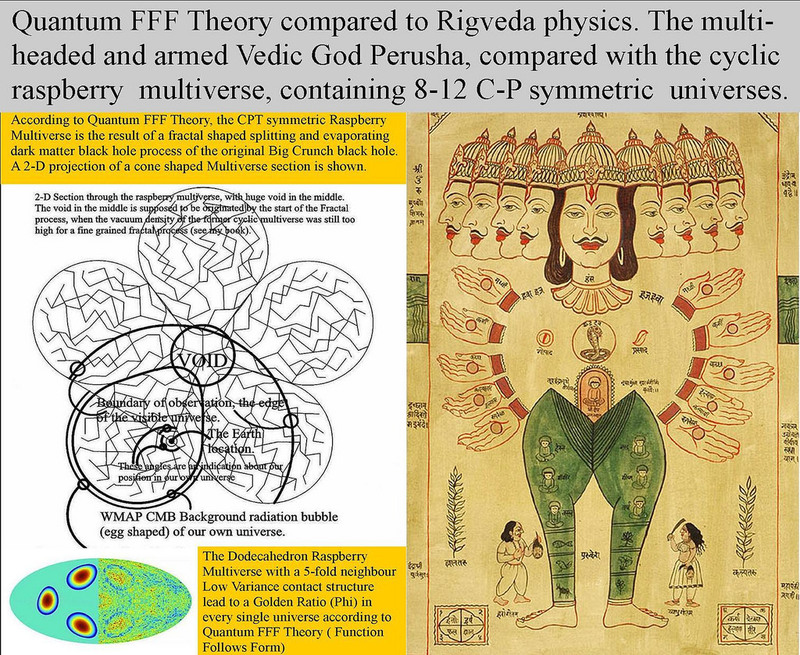 So the opposite world is CP symmetric including clocks, but not time itself. See: A Testable CP Symmetric Multiverse Model by Extended Experiments, Done by the Late Benjamin Libet in 1984. 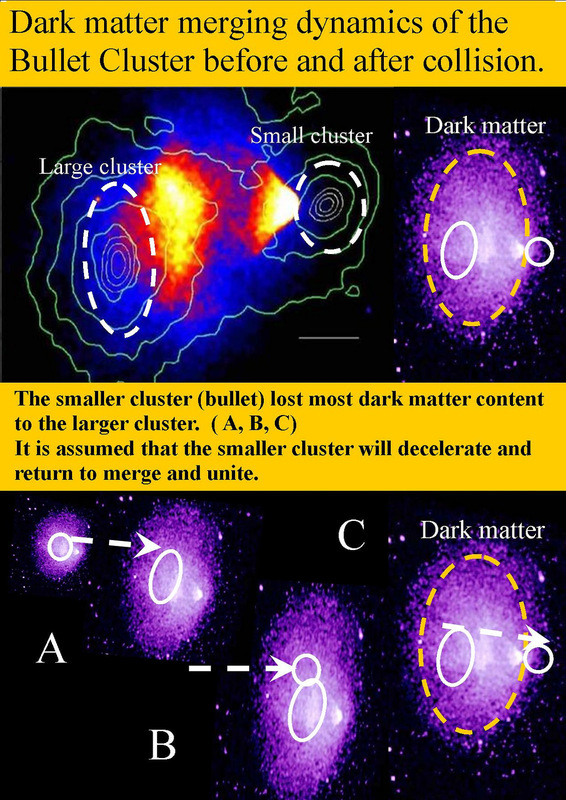 The Bullet cluster and Abell 520 Galaxy cluster collision, seem to be examples of the clumping of dark matter systems (=black hole networks of dual Galaxy Anchor black holes ; GABHs) during galaxy passage through the center of the collision. 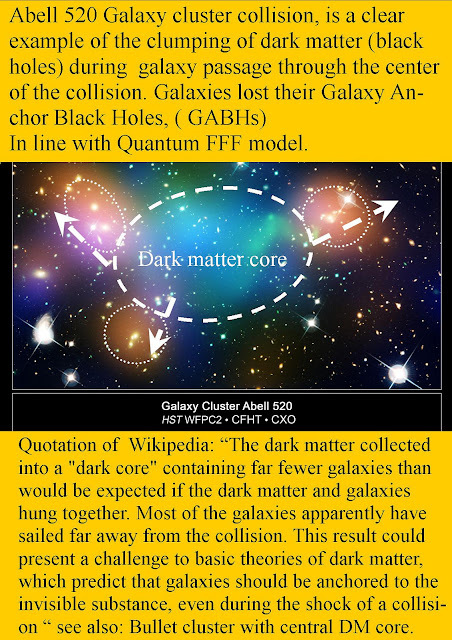 Galaxies seem to leave behind their Galaxy Anchor Black Holes, ( GABHs),In line with my Quantum FFF model. Quotation of Wikipedia on Abell 520: “The dark matter collected into a "dark core" containing far fewer galaxies than would be expected if the dark matter and galaxies hung together. So I would postulate that dark matter is related to black holes and second: Dark matter BHs have less inertia effects than fermionic matter. 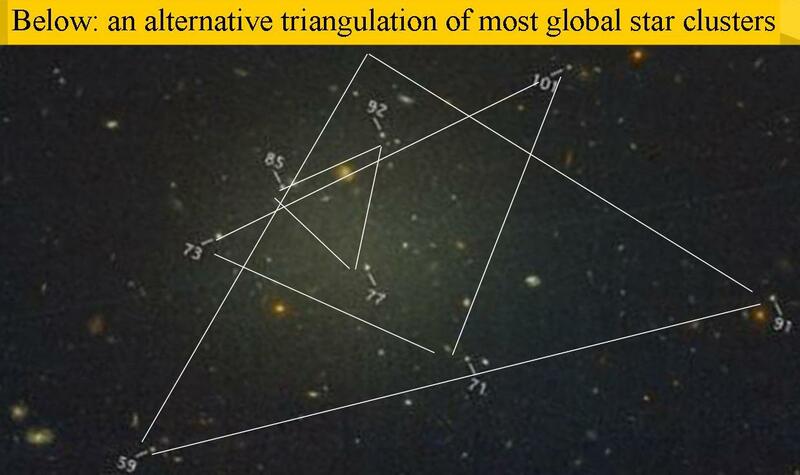 The Dark Matter absence Mystery of NGC 1052 DF2 solved by triangle grouping of BHs? 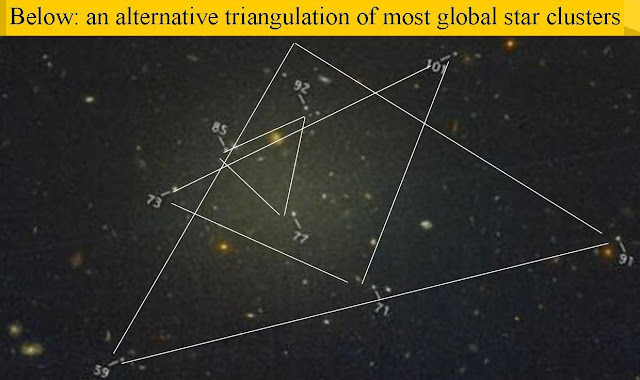 Interesting question: is the largest triangle located in the middle of the two smaller ones? 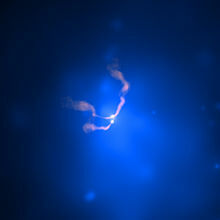 Below: 3C75, an example of a 3 tailed radio galaxy as the possible rare example of triple BH pairing?. 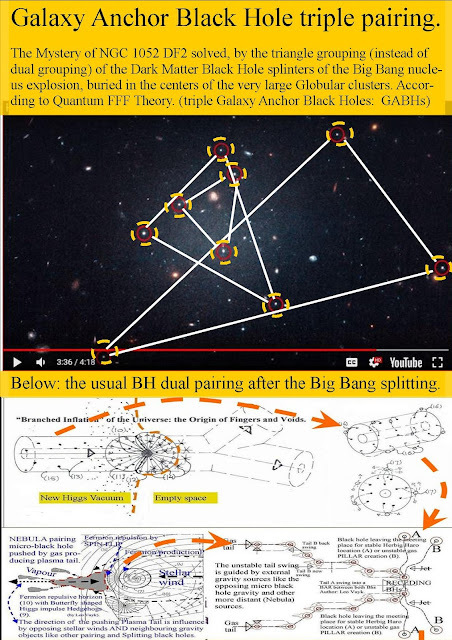 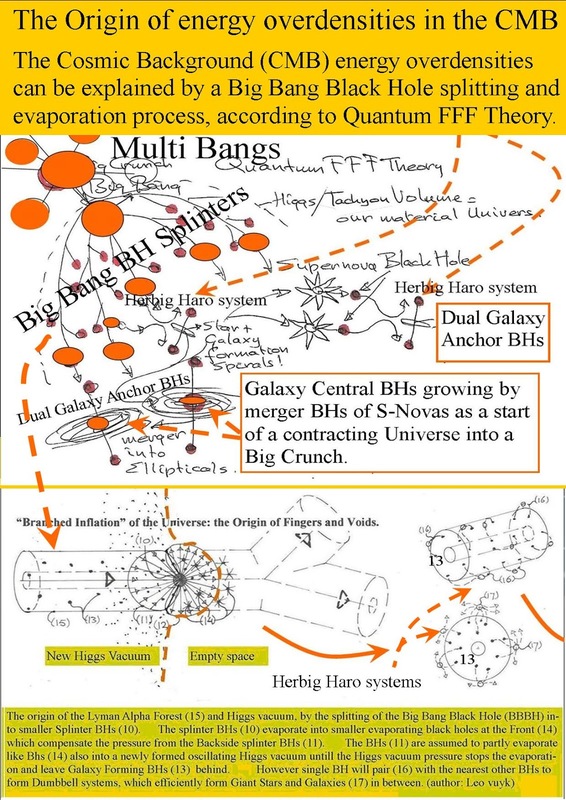 Example in Quantum FFF Theory, how BHs can split and pair to form stars and galaxies. 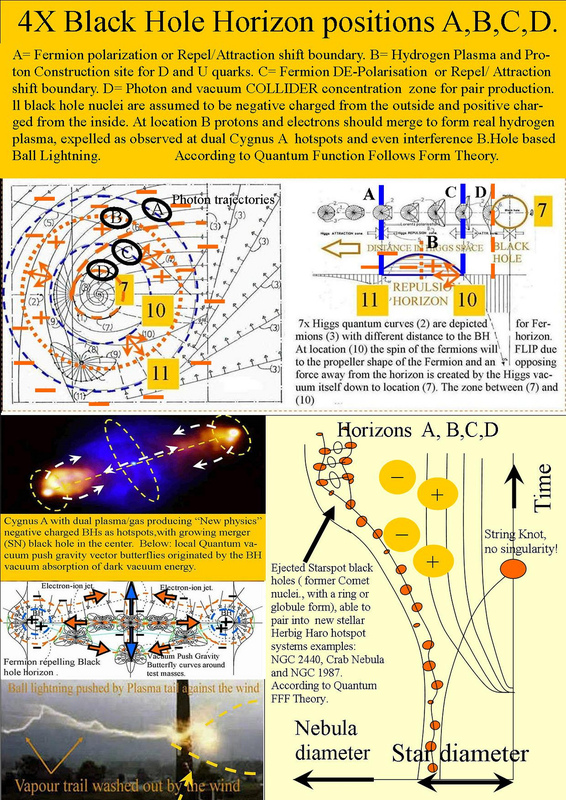 The large masses of early black holes originated by an exploding Dark Matter based Black Hole Big Bang nucleus. Testing the number of universes in Hawking's NEW multiverse.by RP ratios of Benjamin Libet's experiment..
OR: How many universes are hiding in the new Hawking Multiverse? 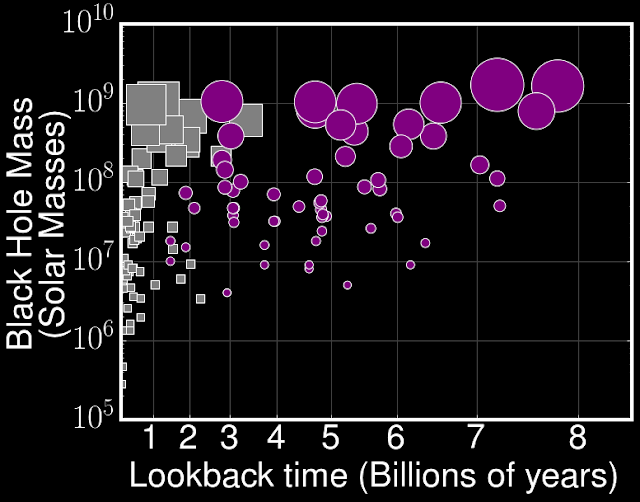 First see: A Smooth Exit from Eternal Inflation? 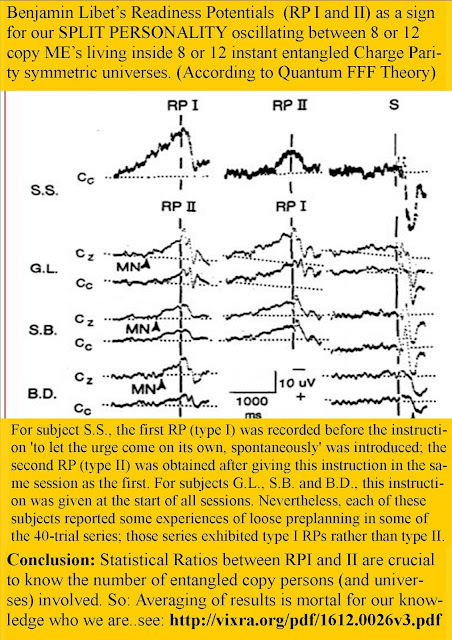 The “volitional act” was in principle based on the free choice to press an electric switch button. However I would propose the absurd but constructive possibility that we are not alone for decision making in a multiverse as an individual person, if the Big Bang was a symmetric process !! 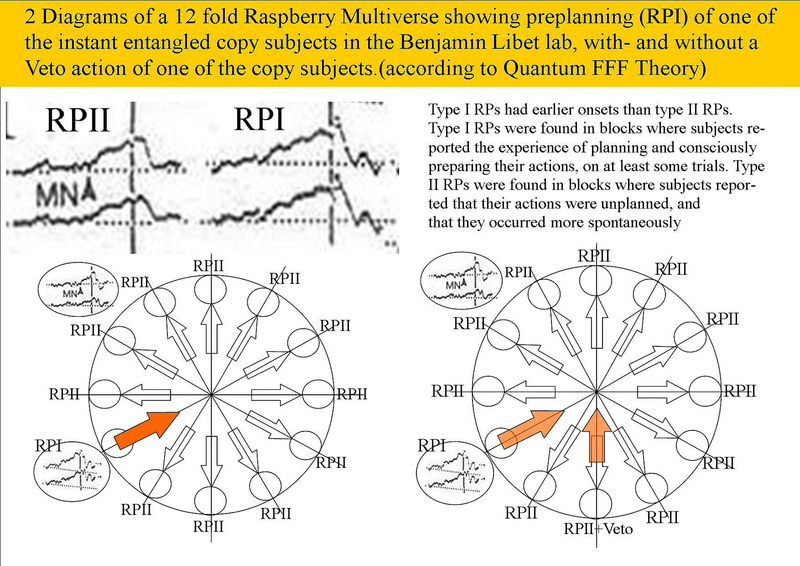 New statistical differenctial research on RPI and RPII of extended Libet experiments described here should support these ideas as a base for the number of participants ( and even universes) involved. 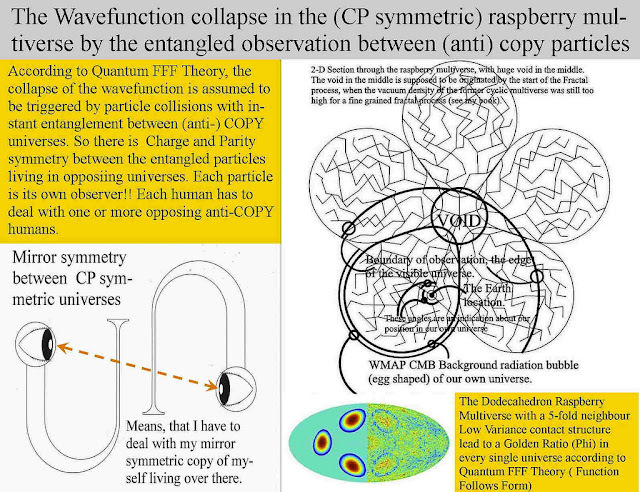 Free will in a multiverse seems to be based on: all instant entangled ideas of copy persons living in all CP symmetric copy universes, have the same possibility to Veto an act and participate equally. 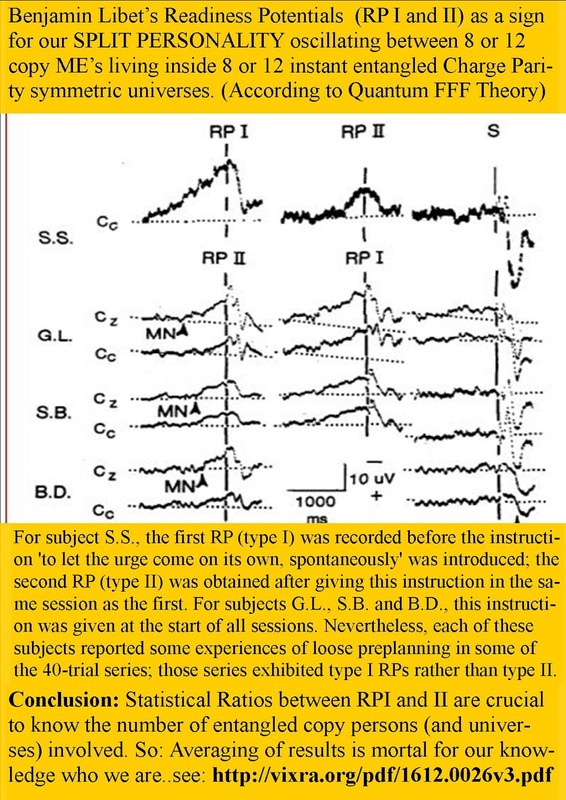 If we are able to “Tap into” those instant entanglement connections” sent out by other people, then even telepathic effects (mind reading) could be explained. Did Hawking realise that the universe is one part ( one berry) of a CP symmetric raspberry multiverse syructure? 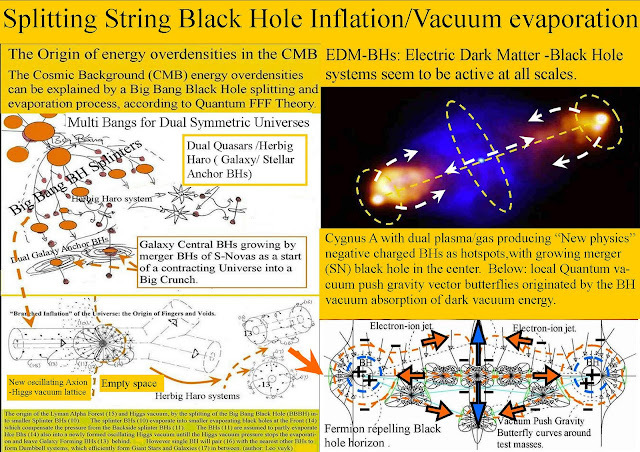 See: A Smooth Exit from Eternal Inflation? 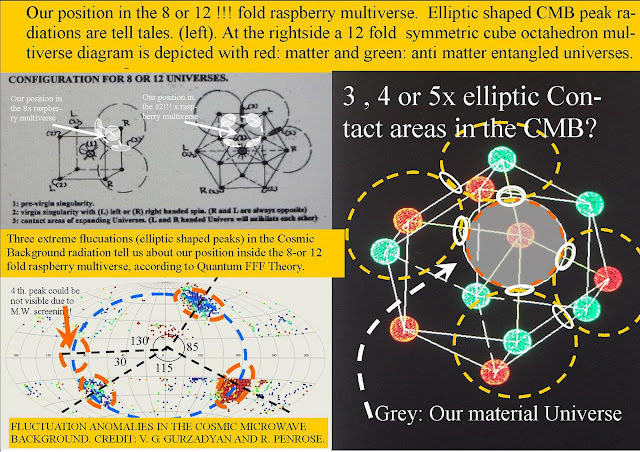 A Consciousness Theory of Everything based on Rigid Transformable Strings, Instantly Entangled Between 8 or 12 CP Symmetric Universal Bubbles. 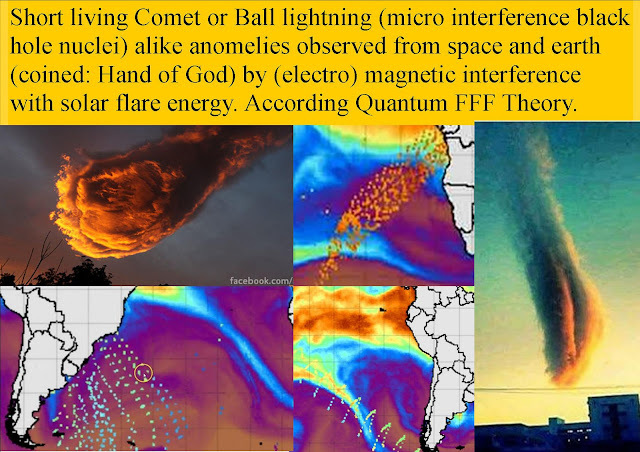 Steve inside the sub-auroral zone explained as Magnetic interference Ball lightning effect. According to Quantum FFF Theory, Steve can be compared with ball lightning magnetic interference effects., mostly related to lightning areas, but now also related to aurora magnetism interference also observed in the southern hemisphere spread over hundreds of kms, called "the hands of God" Steve consistently appears in the presence of auroras, which usually occur at a higher latitude area called the auroral zone. That means there is something happening in near-Earth space that leads to both an aurora and Steve. 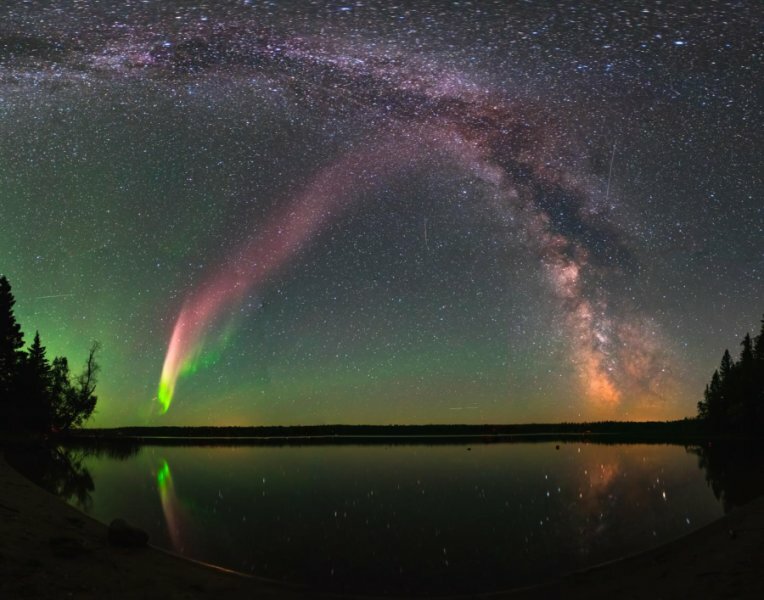 Flying through Steve, the temperature 300 km above Earth’s surface jumped by 3000°C and the data revealed a 25 km-wide ribbon of gas flowing westward at about 6 km/s compared to a speed of about 10 m/s either side of the ribbon. 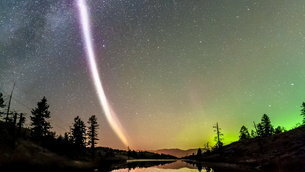 Steve seems to bend always westward !! if you look at Steve, at the shadow side of the earth. 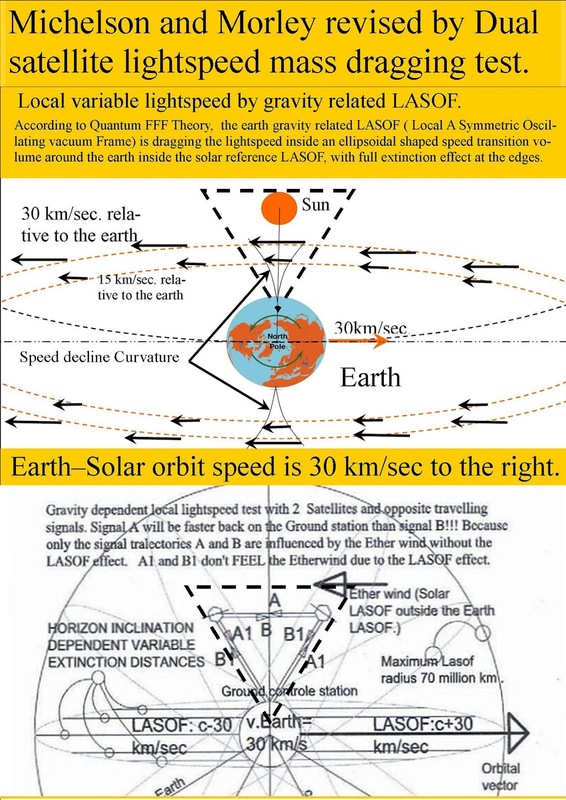 see below for the origin. 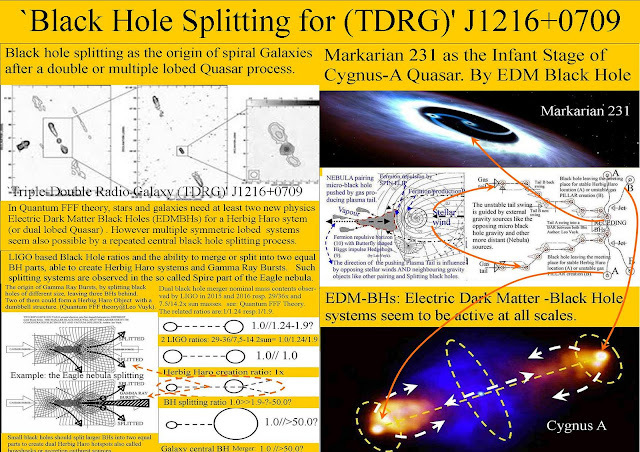 Dual Quasar Galaxy Relation, A Great Support for the Splitting Big Bang Black Holes of Quantum -FFF Theory. 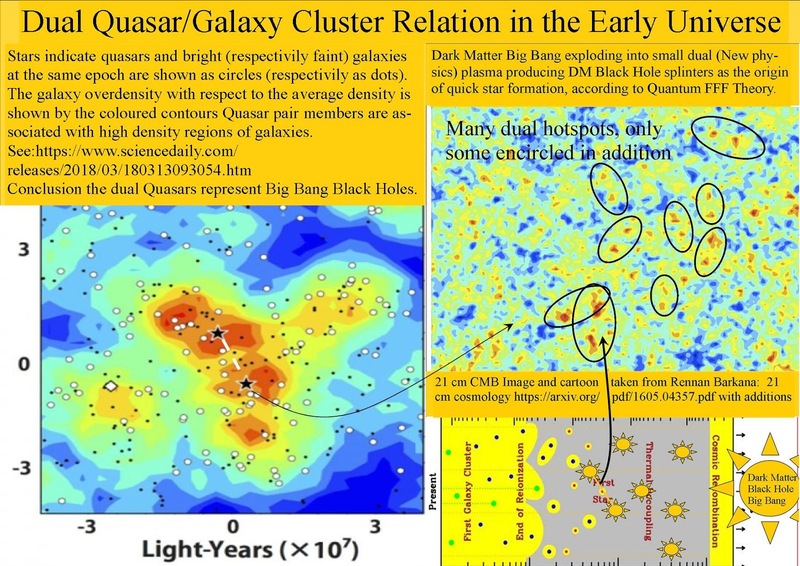 The Image left: Stars indicate quasars and bright (respectivily faint) galaxies at the same epoch are shown as circles (respectivily as dots). 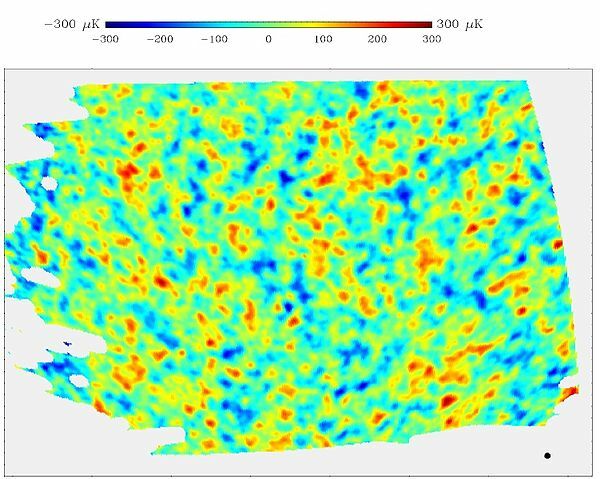 The galaxy overdensity with respect to the average density is shown by the coloured contours Quasar pair members are associated with high density regions of galaxies. 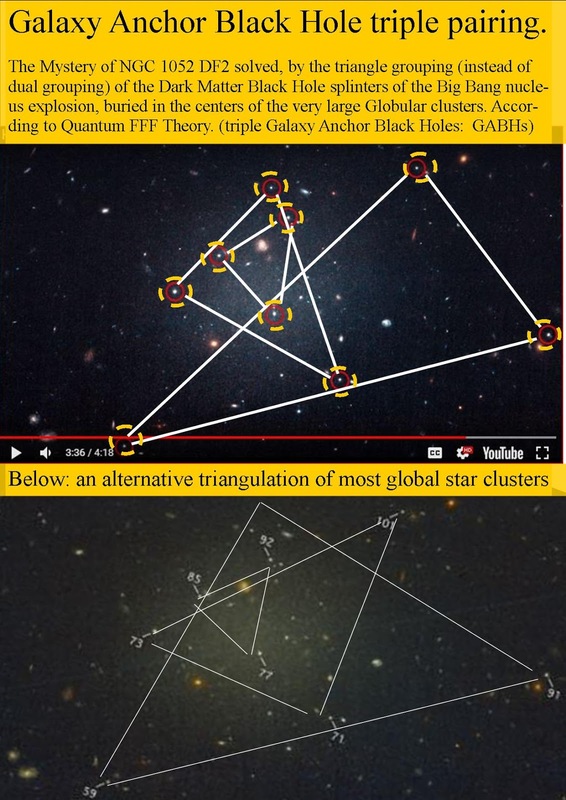 See: "Double or nothing: Astronomers rethink quasar environment" https://www.sciencedaily.com/releases/2018/03/180313093054.htm Conclusion: the dual Quasars represent Big Bang Black Hole splinters. 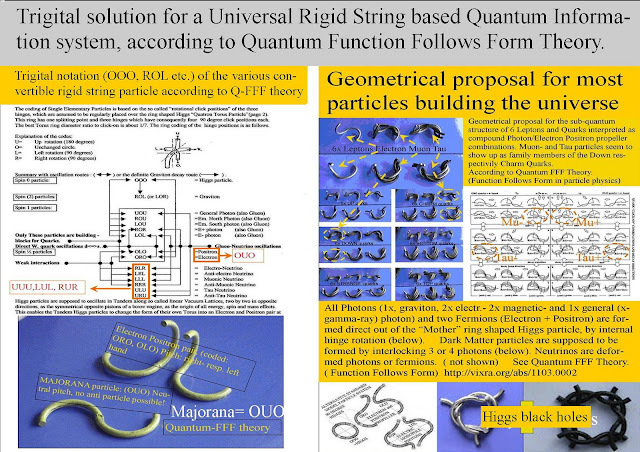 A Great Support for Q-FFF Theory. 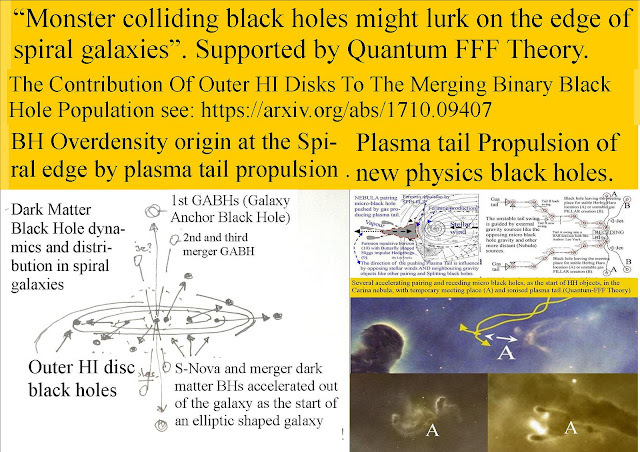 Big Bang Black Hole Splinters, pairing to form Herbig Haro Systems with star formation in between. 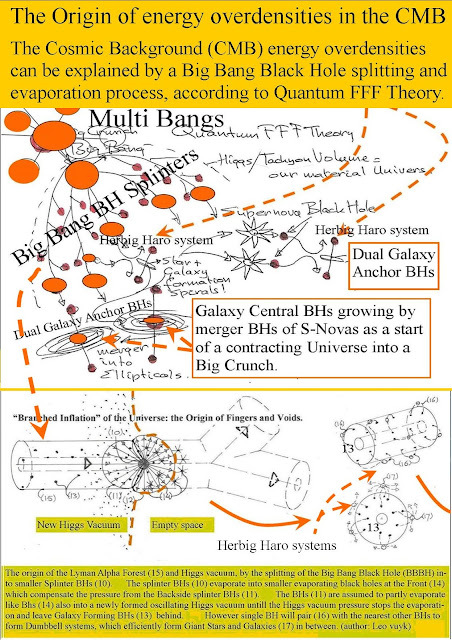 See below, how BHs can be cicked out of the galaxy. as a start for an elliptical shaped galaxy. Astronomers can’t figure out why some black holes got so big so fast. Stephen Hawking and black holes, related to Q-FFF black holes. .
See: The Magic of the New Electric Dark Matter Black Hole on Earth and Space..
Stephen Hawking, only missed that rigid string based fermions (=mass) can not enter the black hole horizon due to their propeller shape pushed away by nose polarisation pointing away from the BH horion. 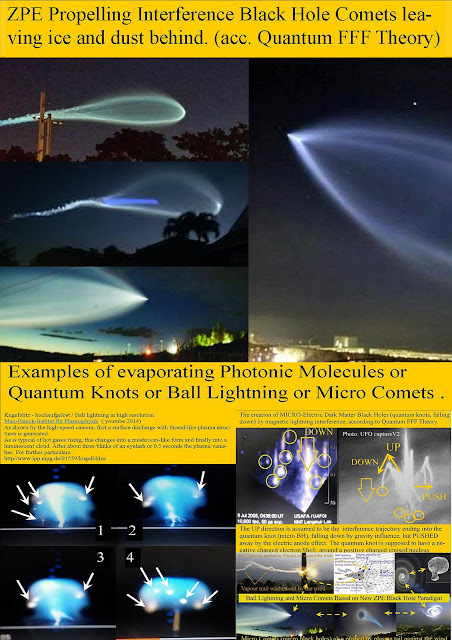 As a result BHs defy the 2e law of thermodynamics, as we observe around Ball lightnings producing heat and plasma out of the oscillating ZPE vacuum. 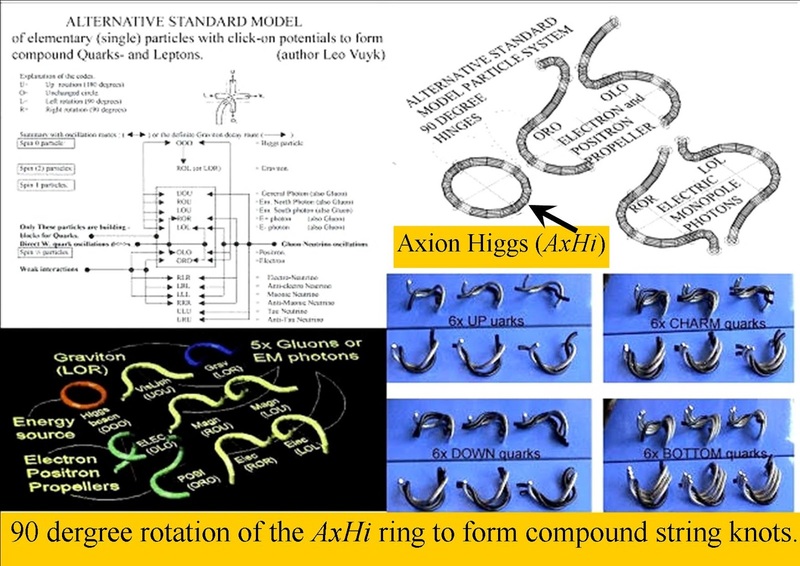 BHs do not eat mass (Fermions) they only merge with smaller BHs and and the local Axion/Higgs vacuum particles, growing bigger and bigger all the time. However small ( micro) BHs like balllightning are not stable and decay, ( evaporate into vacuum particles). 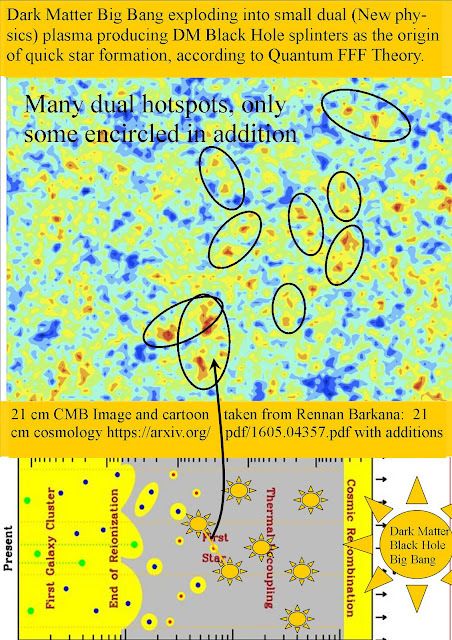 Sunspots seem to be big enough BHs to be stable growers. 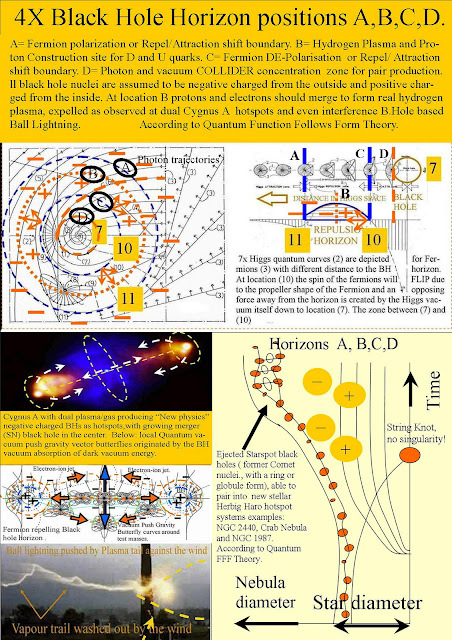 Did Stephen Hawking miss the point about black holes? He was a giant of course, however, IMHO, he only missed that rigid string based fermions (=mass) can not enter the black hole horizon due to their propeller shape pushed away by nose polarisation pointing away from the BH horion. 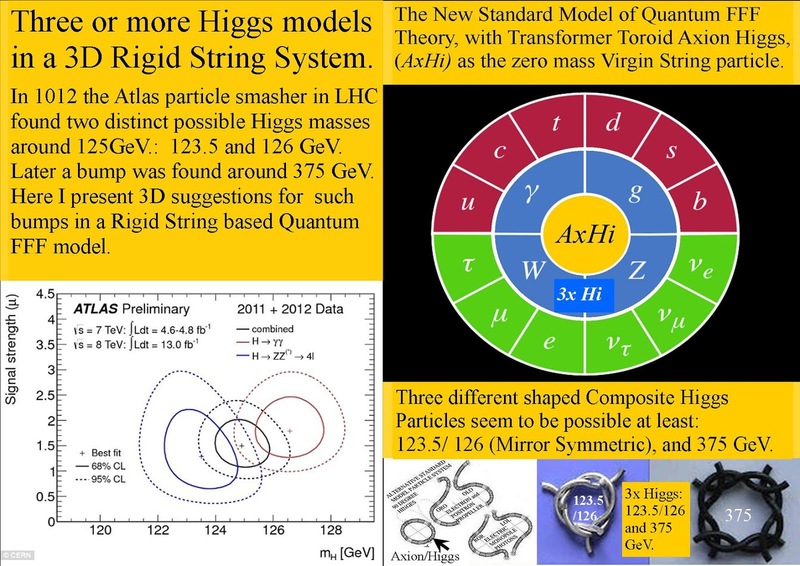 Multiple Higgs models in a 3D Rigid String System. Chirality seems to be important. 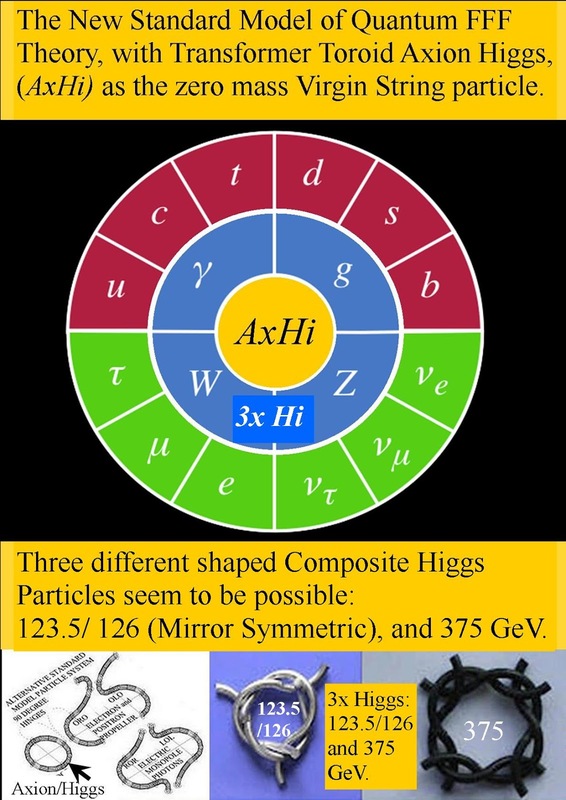 About the LHC anomaly, "Measurements of properties of the Higgs boson decaying to a W boson pair in pp collisions at √ s = 13 TeV"
Tommaso Dorigo reported before ( 2012) an interesting Atlas dual bump. Three or even more Higgs models in a 3D Rigid String system? 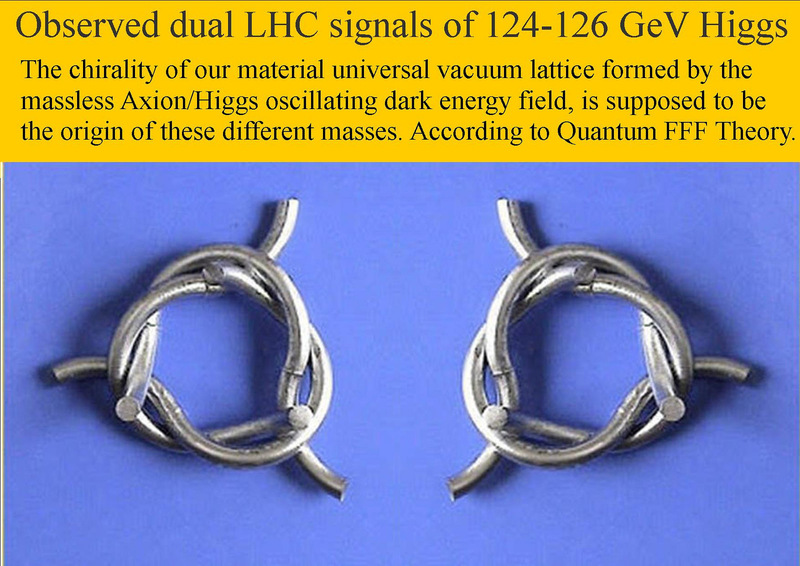 In 1012 the Atlas particle smasher in LHC found two distinct possible Higgs masses around 125GeV. 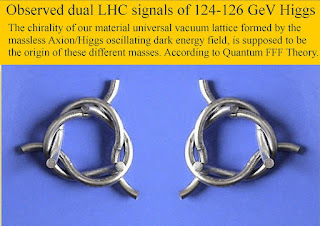 : 123.5 and 126 GeV. Later a bump was found around 375 GeV. 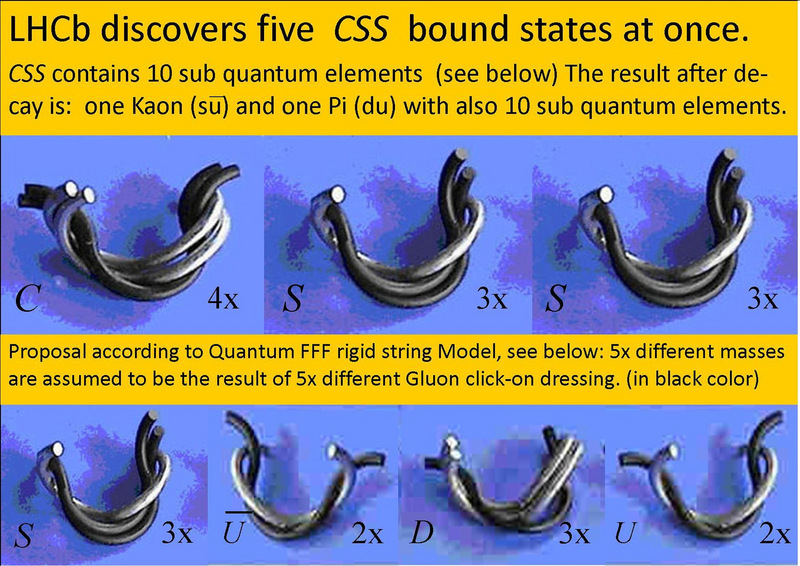 Here I present 3D suggestions for such bumps in a Rigid String based Quantum FFF model. 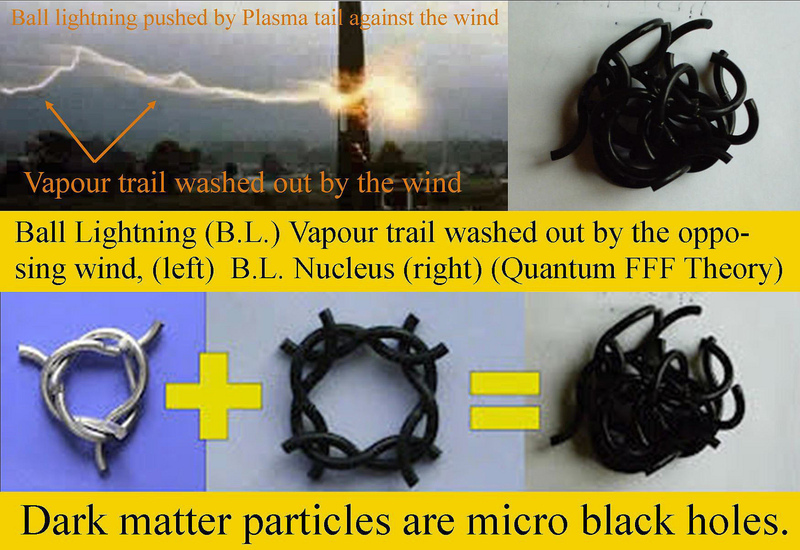 The relation of complex Higgses with micro black holes like Ball Lightning. 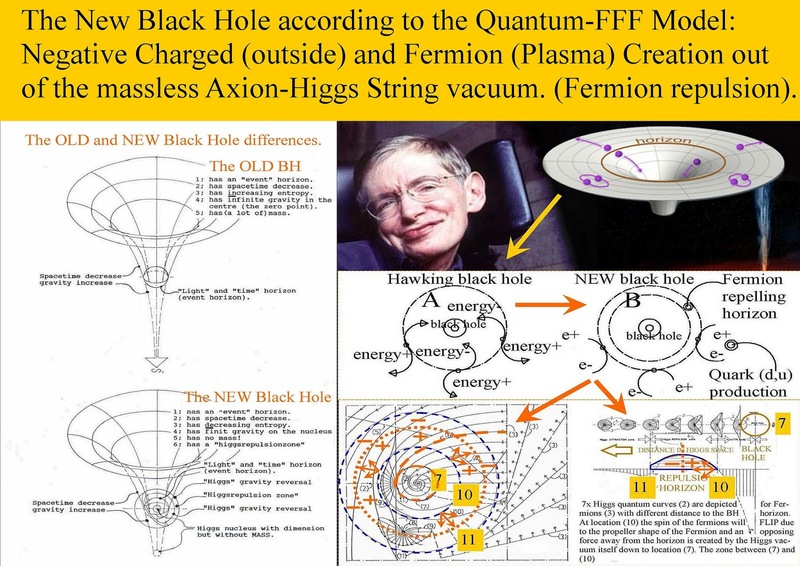 Micro black holes do not eat Fermions. 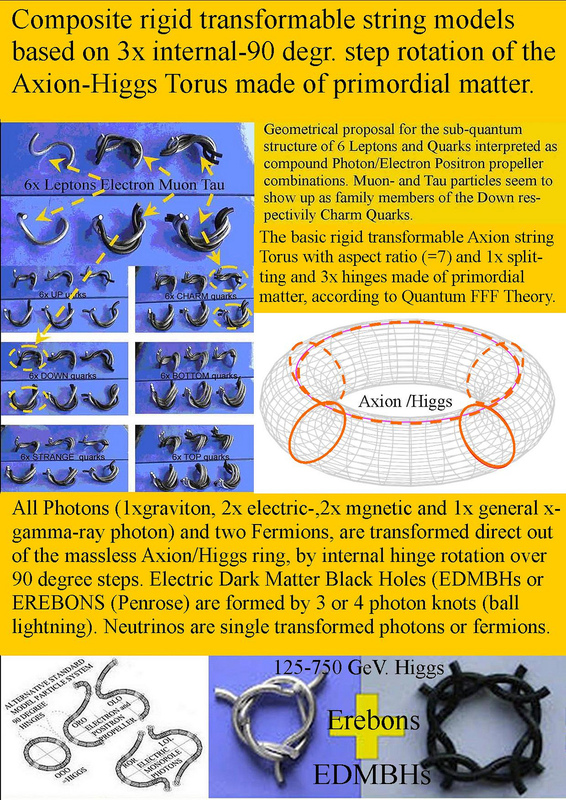 So all BHs have a Fermion repelling horizon. For rigid string models I need a "chiral" vacuum lattice to obtain small mass differences between symmetric propeller shaped particles like Fermions. 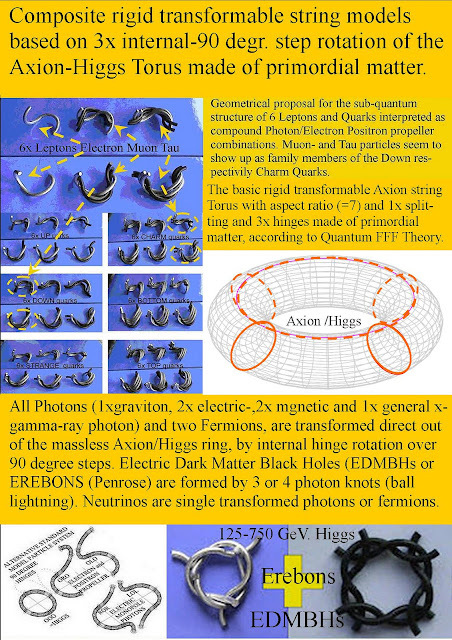 Wich seems to be the reason that Fermions can not enter the BH horizon and are pushed away by nose polarisation away from the BH. 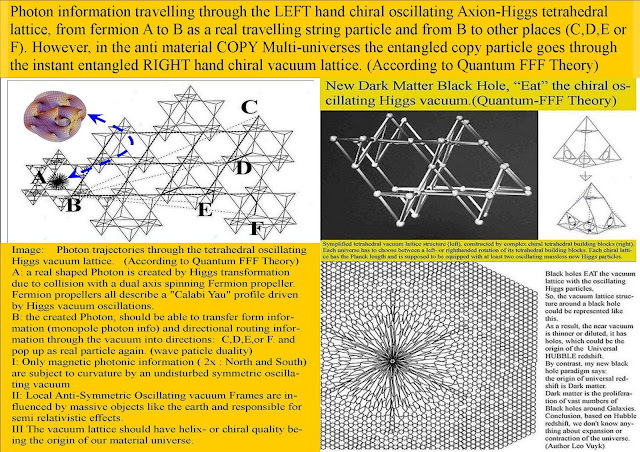 Which seems also the origin that we live inside a material universal chiral vacuum lattice filled bubble. New Standard model based on one mass less Axion Higgs (AxHi) field particle. 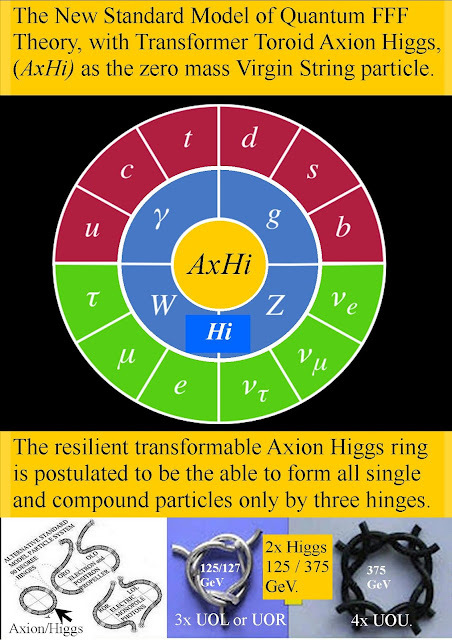 The New Standard Model of Quantum FFF Theory, with Transformer Toroid Axion Higgs, (AxHi) as the zero mass Virgin String particle. also called Axion cosmology. The resilient transformable Axion Higgs ring is postulated to be the able to form all single and compound particles only by 90 degree rotation of three hinges. 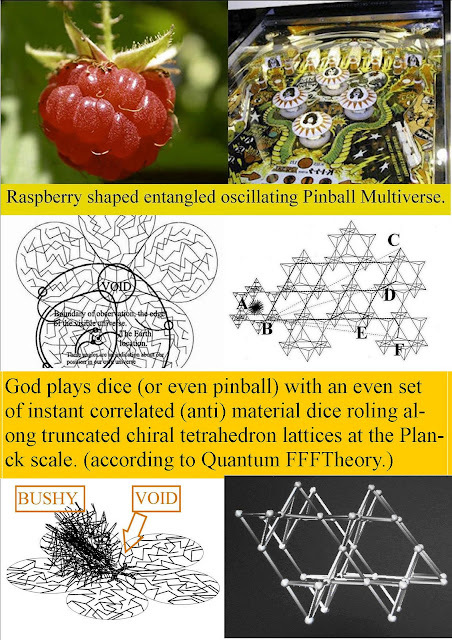 Free Will Readiness Potential Ratio experiment, the Key to a Multiverse Number Calculation.